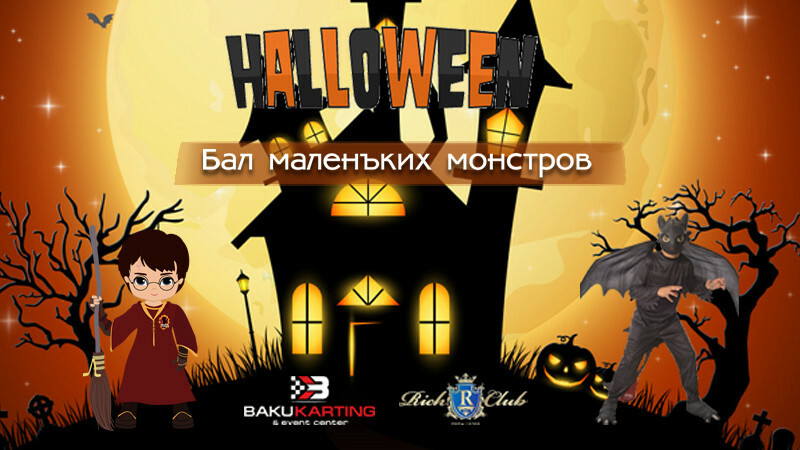 «Детский Хеллоуин» Бал маленьких монстров in Rich Club & Lounge buy tickets online. Delivery of tickets for the event «Детский Хеллоуин» Бал маленьких монстров. Dear friends! On October 27 th you will find an unforgettable event: "Children's Halloween" Festival of small monsters. From 15:00, a specially invited guest will make aqua-makeup for everyone. Count Dracula after a long sleep came to the children for the holiday! Children will be able to see the magical experiments that mysterious Harry Potter has. A lot of tricks, games, games and competitions are waiting for the children. Do not miss the most magical and unforgettable holiday. Pizza ,burgers ,nuggets ,french fries ,salads and natural juices for kids. Tea table for parents.